The Scotch Malt Whisky Society is the world’s biggest whisky club proudly bottling only single cask, cask strength, single malt whisky, rum, bourbon, rye, Armagnac and Cognac. Every release is truly unique and straight from the cask. 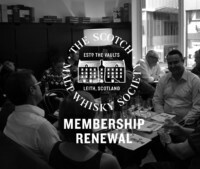 By becoming a member of the Society, you join 35,000+ other like-minded whisky fanatics who appreciate the best flavours you can get from a cask from the widest range of distilleries in the world. Bottles 500+ casks per year exclusively for members. Offers anywhere between 10-14 x new single cask, full-flavoured bottlings every month for Australian members. Hosts events and special whisky experiences for members all over Australia and across the globe. Has a dedicated Partner Bar network around the country to sample Society drams. Gives you access to our casks, events, and your yearly subscription to our award-winning Unfiltered Magazine, monthly Outturn, rare releases and preview tastings. 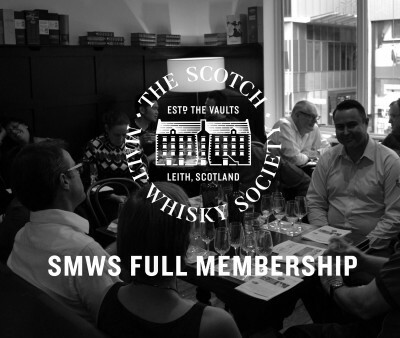 A welcome letter with our current Outturn (Bottling List), the Society’s award-winning whisky magazine, Unfiltered, as well as other Society literature to start you off on your amazing Society whisky journey! Exclusive (members’ only) access to our sensational whisky and members’ preferential pricing for events. Special discounts at our Partner Bar network with exclusive casks and upcoming releases. This membership does not include a Member Pack – for this product, please also add the pack to your cart below. No minimum commitment to bottles each year: your membership, your way. Get in touch and talk to the team today to find out more, or read our FAQ for more questions answered. You can peruse the incredible single cask bottlings here, or our upcoming events here. Join the Society and experience whisky like you’ve never tasted before.